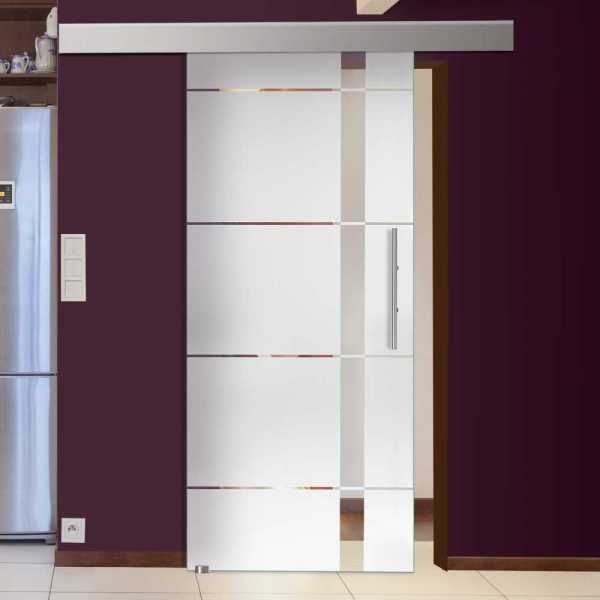 Product information "Single Sliding Glass Barn Door 48"W x 98"H Inches - Left"
Our elegant supply of Toughened / tempered glass Doors which is the type of safety glass processed by controlled thermal or chemical treatments to increase its strength compared with normal glass. Tempering puts the outer surfaces into compression and the inner surfaces into tension. Such stresses cause the glass, when broken, to crumble into small granular chunks instead of splintering into jagged shards as plate glass (a.k.a. annealed glass) creates. The granular chunks are less likely to cause injury. Our glass sliding door with sliding system and handle bars are made of high-quality stainless steel. The glass sliding door leaf is made for you after you place an order and is not a product from the storage rack. For this reason, we ask for your understanding of the processing time. Once you have received this highly refined glass sliding door and installed it, you will see that your patience has paid off. Simply a view for any room. 1-leaf Elegant Sliding Glass Doors with Frosted Design .The 1-leaf sliding doors allow you to close wide openings as needed. The ALU100 sliding system with aluminum blinds (Cover) gives our sliding door leaves an extravagant touch. The frosted door leaves are refined with different frosted design depending on your choice. Please call for correct dimension / Special dimensions are possible please call us for confirmation. All the holes for the mounting of the handle bars are already available in the door. Edges: Ground Glass Wich Has Softening The Edges For Safer Handling. We Offer As Optional The Opaque Version For $30.00 Additional To The Original Price. Special Designs And Dimensions Are Possible (Please Inquire) For Further Assistance And Confirmation. Customer Satisfaction Is Our Priority. 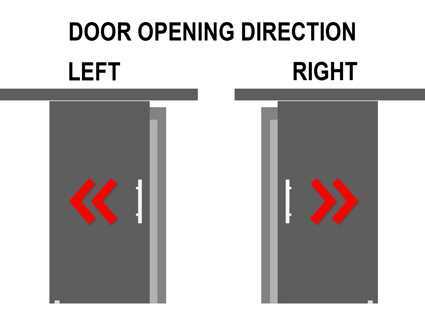 Please note: This ALU100 Sliding systems require that all dimensions provided must have ´´2´´ inches more on ´´Width´´ and ´´1´´ inches more on height from the actual dimensions of the space where the doors will be installed. This door is specially made for you! Immediately after receipt of payment, we will process your order to our production team ,and normally you will receive your door within 35-40 working days. In case of production problems or delays , we will notify you immediately. Related links to "Single Sliding Glass Barn Door 48"W x 98"H Inches - Left"
Customer evaluation for "Single Sliding Glass Barn Door 48"W x 98"H Inches - Left"